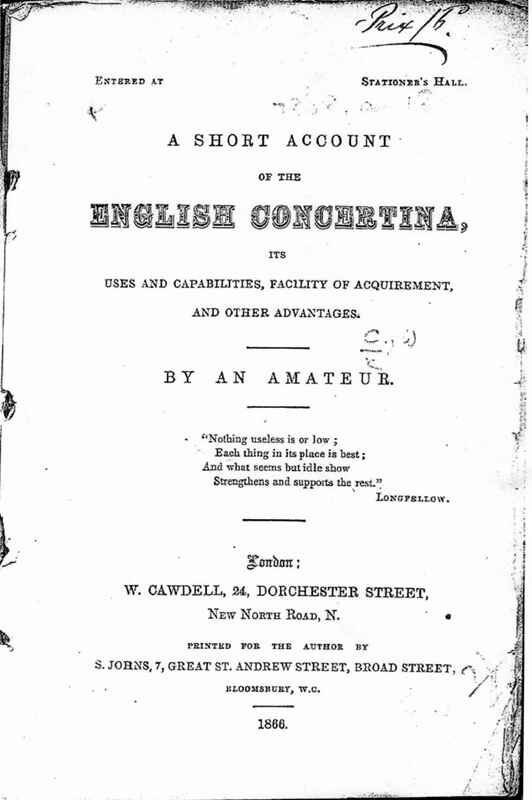 Full Description: Harry Minting's own copy of the William Cawdell paper entitled "A short Account of the English Concertina, by an Amateur". 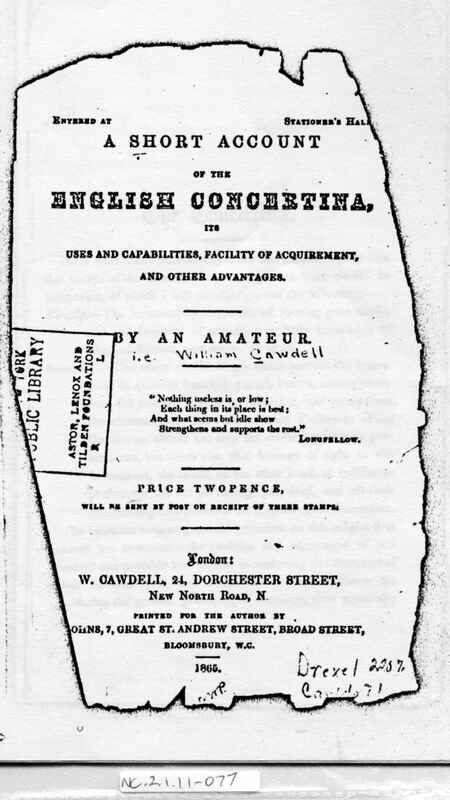 The original of this 1865 edition is in the Drexel Collection at the Lincoln Library, New York. 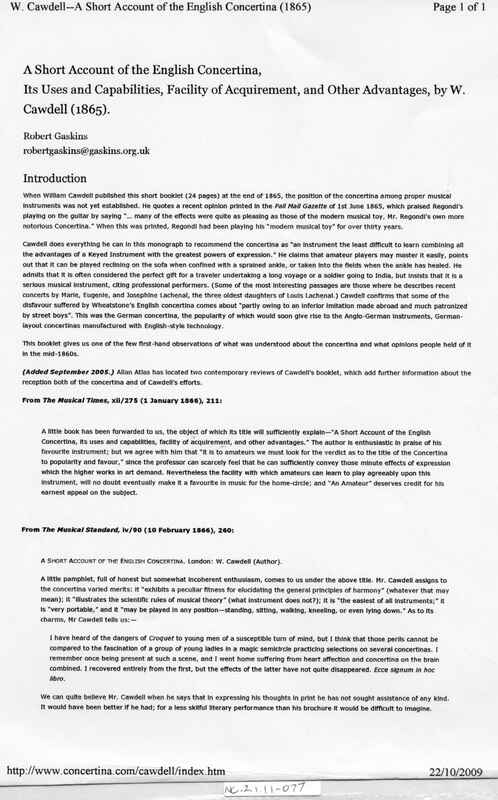 Both this version, and a further 1866 Version are available online at www.concertina.com/cawdell/index.htm where Dr Robert Gaskins examines the curious and obsessive statement of Cawdell - a true amateur and concertina lover! We include here the cover images of each edition, and some of Dr Gaskins' comments.